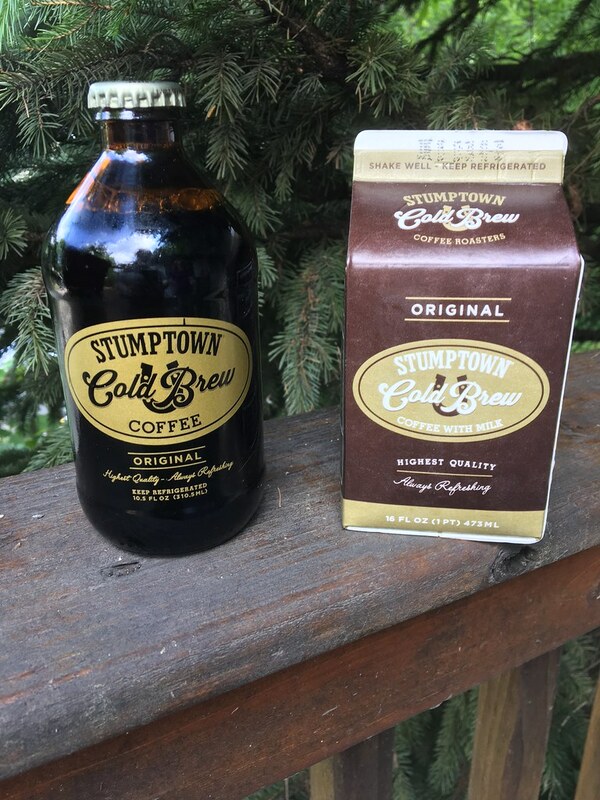 So, a couple of years ago, I actually answered a Stumptown Coffee consumer survey, regarding my preferences for a pre-packaged coldbrew coffee. They've had it available for sale for awhile now, but I could only get it via mail order, not something I was willing to do. Much to my surprise, I stumbled across it last May, in my local organic foods co-op. Yeah, I snapped it up. The carton on the right is a frappuccino-type drink, with coffee, sugar, and cream. It's FAR better than Starbuck's bottled frappuccino (which is what I drink when I'm traveling with my coffee-hater, as cold brews are much less aromatic than hot coffee). It's less sweet than Starbucks, but because the coffee isn't bitter to begin with, it doesn't have to be. The bottle is simple, black, cold brew. Kivi tried to drink her half, by adding some simple syrup to it, and some cream, but she just didn't care for it. I thought it was pretty good, myself. I too, didn't like her doctored version, so I just drank it black. It was smooth, and not bitter, but did have some slightly sour notes. Definitely worth having, when unable to brew your own.